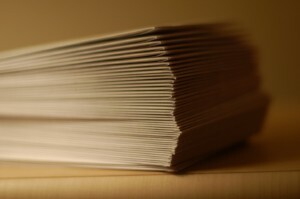 We can design and print envelopes of all sizes and formats. These can range in format from basic black & white to impressive colorful designs. For business or for personal invitations, our design staff can work with you. We can also create a corporate identity package for you, with an integrated system of business cards, letterhead, and envelopes. Please contact our team today and ask how we can build your total brand with our total office package. You can use our website here to get a quote today or simply come into our operations center and speak with us directly for all your stationary, letterhead and envelope needs.